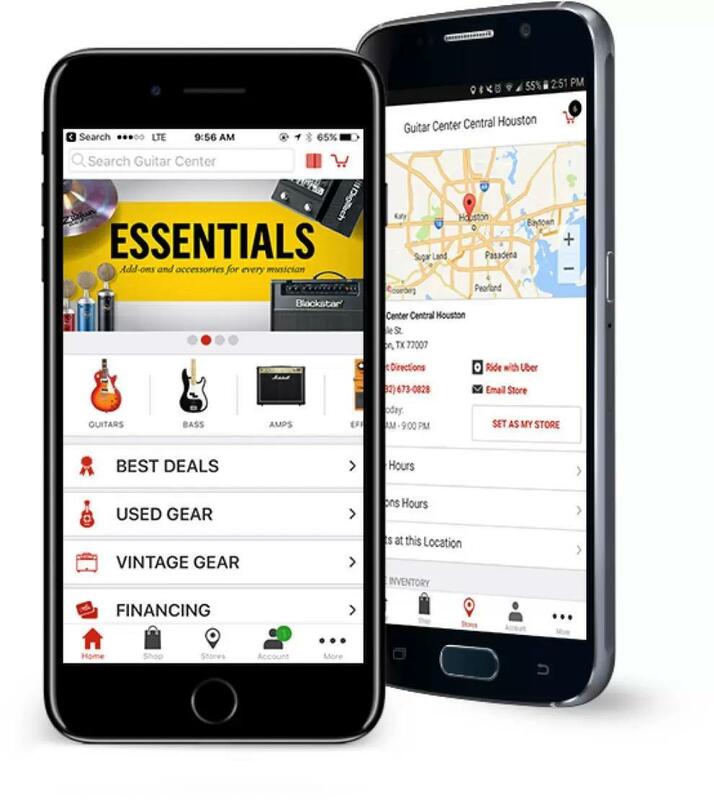 From custom Fender and Gibson guitars to boutique amps, effects pedals, percussion instruments and more, Guitar Center Sherman Oaks' selection is seemingly endless. Additionally, we provide rentals on a wide range of instruments and equipment, guitar and ukulele workshops are regular occurrences, and we even hold "Recording Made Easy" classes. To learn more about lessons, or to find out what we currently have available in our Platinum Room of guitars, give us a call at 818-990-8332 and we'll gladly answer any questions you may have. Guitar Center Sherman Oaks provides comprehensive guitar repair services for the Sherman Oaks area. Our repair technicians are as passionate about your guitars and basses as you are, and we have the experience needed to keep them performing at their best. Whether you need a quick adjustment to make your guitar easier to play, or a complete guitar rebuild, we have the tools and know-how to take care of your instrument. Guitar Center Sherman Oaks can also help build a maintenance plan that fits you and your guitar or bass needs, including custom setups, restrings and more. We also take care of fret repairs, hardware and pickup installations, upgrades and customizations, bone and graphite services and more. Jared James Nichols, who will demo his new signature Blackstar JJN-20RH MkII head and matching JJN-212VOC MkII cabinet. When the Northridge earthquake hit in '94, that never stopped Guitar Center Sherman Oaks from providing local musicians with the musical instruments and pro audio gear they needed to reach their greatest level of potential. We simply moved to an even more convenient location at 14209 Ventura Blvd., and we've been rocking here ever since. Whether you're an enthusiastic amateur or a professional in the industry, our friendly team of experts is dedicated to musicians and DJs of all tastes and skill levels. In fact, our staff is made up of the most knowledgeable people in their field, and many have worked on stages and in studios all over the country.The second you walk through our doors, you'll quickly realize why everyone from metal guitarists to hip hop producers are visiting us constantly for their instrument and equipment needs. Simply put, Guitar Center Sherman Oaks is proud to help musicians from the San Fernando Valley bring their skills to the forefront. The next time you're in the Sherman Oaks area, please drop by! We're open seven days a week, so you'll have no problem fitting us into your busy schedule.